Our S. Albert Glass Specialist will measure the size and thickness of the glass panel, help you identify the manufacturer. The window specialist will estimate the price of new glass and also tell you the cost to install it in the old frame. *Replacement methods vary slightly depending on how the window is constructed. What to know about Fogged Windows. There is no way to clean the insides of the glass, or to repair the seal once it has failed. S. Albert Glass can replace the Glass Portion of the existing window. The whole window DOES NOT have to be replaced! The window frame and sash is left in place and only the glass part of the window is replaced. 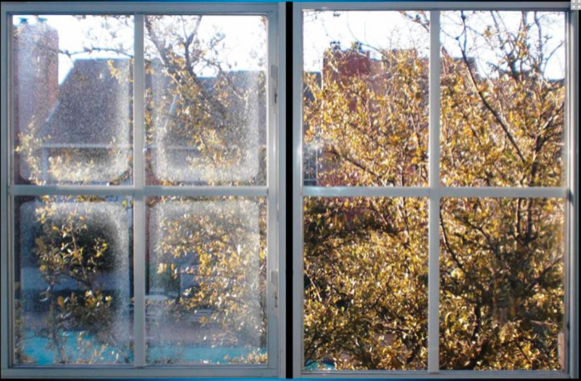 In most cases, replacing an IGU is much more cost effective than buying a whole new window. The life span of the seal between two panes of glass varies depending on quality of manufacturing/use/environmental conditions.